This past summer, Mollie Tibbetts’ death hit far too close to home for female runners throughout the country. Despite the gravity of this incident and the risks that female runners take when jogging alone, I believe that we, women, should not back down from the things we love out of fear. I was scrolling through Twitter the first time I saw Mollie Tibbetts’ photo. She was a 20-year-old University of Iowa student who had been missing for a few days. Admittedly, the first time I looked at her face, I didn’t think much. Unfortunately, similar narratives happen to young college women all of the time. I kept scrolling, but the deeper I searched into my timeline, the more alarmed I became about this random girl’s disappearance. In tweet after tweet, I saw Mollie’s smiling face and long, brown hair. Complete strangers to this young woman were incredibly invested in getting information on her disappearance. The entire country seemed to be in an uproar about Mollie. As I read, I was struck by many similarities between Mollie and me. She was studying psychology, and I was studying neuroscience. We both came from relatively small towns and corn fields. We were the same age and thinking about similar career paths. Most notably, she had run cross country and track and continued to run for leisure in college, just like me. In fact, her last sighting was when she was jogging through the roads of her town. More than a month went by before Mollie’s body was discovered. During that entire month, I opted for the dreadful treadmill instead of my favorite trails. As the country waited for answers about Mollie, more stories of female runners who had been abducted began to resurface. One of the most striking incidents occurred during the summer of 2016. Alexandra Brueger, Karina Vetrano and Vanessa Marcotte were all murdered while running on familiar trails, each just several days apart, and all in different states. The murders were not connected, increasing the alarming nature of each case. As more cases were brought back into the spotlight, my roommates stopped running outside, expressing the same fearful sentiments that I held onto. When the headlines revealed that Mollie was killed by a complete stranger, I was overwhelmed by the prospect of her story becoming my own. I Googled Mollie multiple times, wondering how competitive she had been, wondering what her personal records were, wondering if I could have outrun her murderer had I been running in Iowa that July evening. 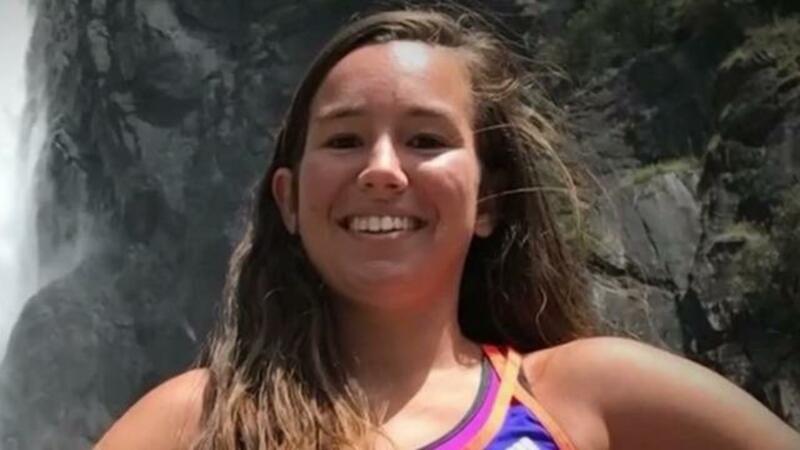 Not long after the discovery of Mollie’s body, CNN released an article that put the safety of female runners into question. Many women were understandably hesitant to hit the trails after Mollie’s death was announced. Getting out and enjoying trails and roads no longer seemed relaxing. My escape from the world turned into a dangerous decision. I stopped running altogether for a while. I hated the treadmill and no longer felt relief after working out. But after so long, I decided that I could no longer hold back from pursuing what I loved. For years, running had been my outlet, my escape, my sanity. I put my running shoes back on that day and ran out to the Nature Park. It was far less liberating that I had originally imagined. In fact, it was terrifying. Every strange noise left me stopping dead in my tracks, pulling out my headphones. Every stranger I saw on the trails made my heart beat faster and my legs run harder. It had been a long time since I had run so fast. Upon returning to my apartment, I was both exhausted and nervous. Running didn’t feel the same anymore, and it absolutely broke my heart. I felt like I was losing a close friend. Thankfully, I didn’t give up so fast. After a few runs, things started to feel normal again, although I still cannot shake the thought of Mollie Tibbetts. I am lucky to have the opportunity to run in a generally safe place, but I do think I realize that this can happen to anyone, anywhere. All this being said, Mollie’s death has certainly made me a safer runner. I no longer brush aside the importance of telling a friend when and where I’m going to be running. While running, I share my phone’s location with a family member to ensure that someone is able to find me worst-case scenario. When I run with headphones, I keep the noise level relatively low and maintain awareness of my surroundings. I still speed up at the sight of a stranger. If possible, I rally a friend or two to come along on the run. Not a single run goes by where I don't think about Mollie. Instead of throwing in the towel out of fear and mere possibility, I lace up with a bigger purpose than I had throughout all eight of my competitive years. I am training for my first half-marathon this semester, and I know I’ll have Mollie on my mind with every mile. Crossing the finish line will be less about accomplishing a personal goal and more about representing courageous women who refuse to let the world impede on their personal escapes. For more information on statistics and running safety, I would recommend checking out this article by Runner’s World.